Now CINTEP has announced that it will be giving away two free Recycling Shower Systems between 4th and 12th May 2013 at Grand Designs Live. For a chance to win, entrants simply need to register their interest at http://www.RecyclingShower.co.uk. In addition, everyone who registers will be awarded a 10% discount voucher for a Shower System. CINTEP is targeting mid 2014 for the release of the first showers and those who register during the show will be amongst the first who will be able to purchase them. Grand Designs Live, the UK’s leading contemporary home show, will open its doors from 4th – 12th May 2013 at ExCeL London. Based on the Channel 4 TV series, and presented by design guru Kevin McCloud, the event will be packed with over 500 exhibitors, across seven different sections, covering interiors, gardens, home improvement, self-build, renovations, technology and shopping. Visit CINTEP in the Eco-Tech House in Grand Technology at Stand L70. 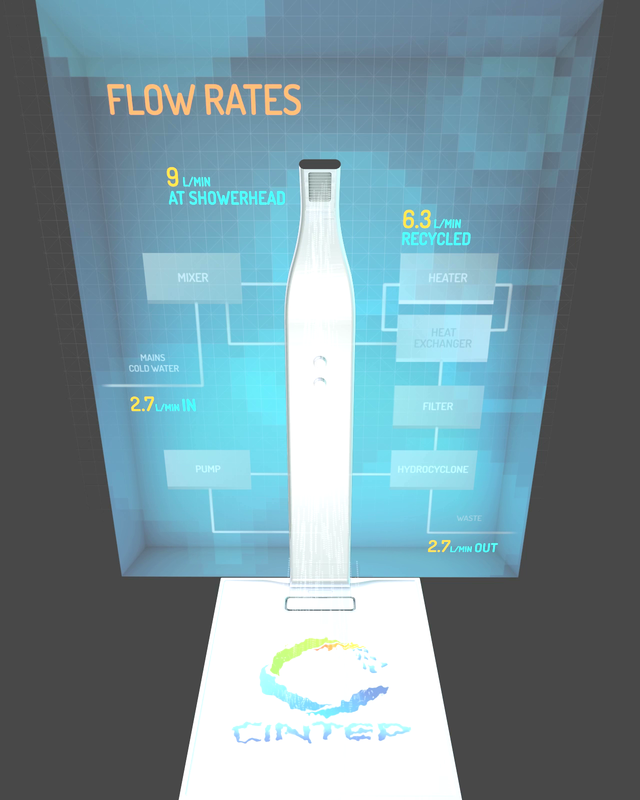 CINTEP is an Australian company that develops the most efficient shower systems in the world. CINTEP won the 2011 Green Challenge, the world’s most valuable clean technology competition, a Dyson Award and the British Standards Institution Environmental Design Award. CINTEP was founded by Nick Christy and Peter Brewin in 2009. Nick Christy is a chartered accountant, ex KPMG; Peter Brewin is an award-winning engineer who also founded Concrete Canvas. There is a large American contingent living in Ecuador that might be very interested in your product. Water is quickly becoming a problem in many areas of Ecuador especially in the larger metropolitan areas. Thus, the more wealthy Ecuadorians might be very interested as well as the retired foreigners (I am one) that live here. I am in the process or soon will be of building a new home and would like to see about installing one of your showers. I may also be quite interested representing your company if that is possible?